For carpets and upholstery in the home and in public areas. 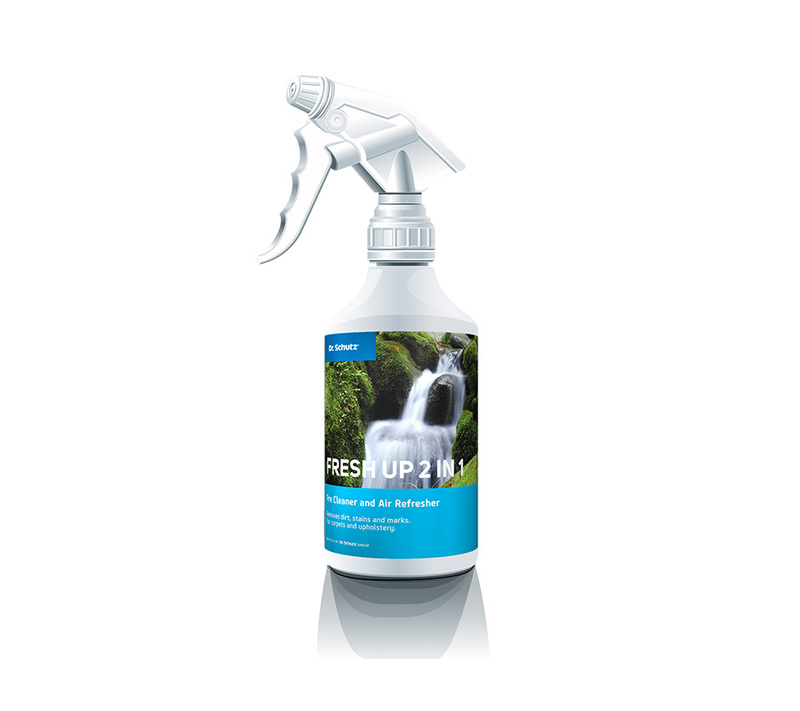 Simply spray Fresh Up 2 in 1 sparingly at a distance of approx. 40 cm and let dry. Vacuum clean the floor thoroughly. 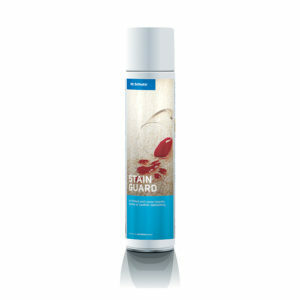 Spray Fresh Up 2 in 1 evenly at a distance of 70-100 cm onto stains and / or heavily soiled areas (e.g. traffic areas), but do not soak material. 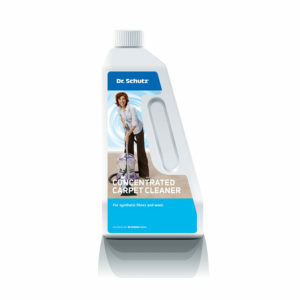 Allow the product to work for a short time before cleaning the floor thoroughly using a spray extraction machine. Before use, test the flooring in an inconspicuous area for colour fastness and material suitability. The coverage will highly depend on the level of soiling. 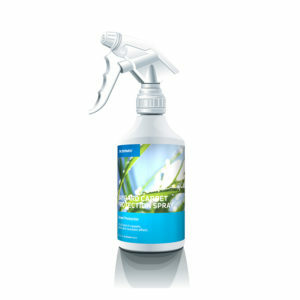 Spray Fresh Up 2 in 1 evenly at a distance of 70-100 cm but do not soak material. For extreme cleaning and best results possible, use with a spray extraction machine such as SprayBoy 2000.